The head of Iran parliament's Article 90 (of the constitution) committee announced that the case of Esfandiyar Rahim Mashaee will be subjected to a "special procedure". 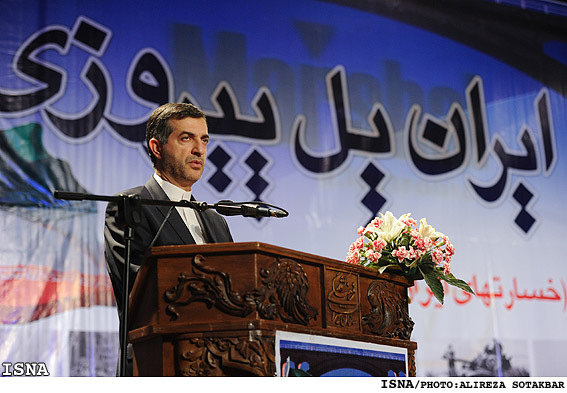 At a press conference yesterday, which received extensive news coverage in the Iranian media, across the political spectrum, hojjat-ol-Islam Ebrahim Nikoonam criticized the statements that Mashai as the president's chief of staff had made and which ranged from his comments on the free role of music in the country to his ideas on the Iranian political school of thought (which some have interpreted to be in competition with the Islamic school of thought). According to Nikoonam, it is members of Article 90 committee who are responsible for evaluating "tension provoking" statements made by government officials, and Mashaee's remarks fall into that category. He also stressed that the parliamentary committee paid particular attention to the "dismissal of ministers and high-ranking officials of the country" adding, "though these issues fall under the authority of the president, we note that their persistence will create problems for the country". Nikoonam also described the present conditions of the country as "sensitive" and based on this urged for better use of "exceptional opportunities". According to Article 90 of the constitution of the Islamic republic of Iran, "Any person having a complaint against the parliament or the executive or judiciary branch of the government can address his or her complaint to the parliament in writing. The parliament is responsible to follow up on these complaints and provide a satisfactory response and if the complaints concern the executive or the judiciary branch have them to provide an adequate response and to announce the results publicly if it concerns the public". However, cleric Nikoonam did not explain at his press conference yesterday who had filed a complaint to the committee against Mashaee but by calling Mashaee's statements "sensitive" said, "in addition to the reports we have received in this regard, we stepped up vigilance as our duty requires". He also referred to this possibility that the "incitement' created by the presidential chief of staff might be "rooted in foreign agendas". Previously, some high-ranking officials and political personalities had insinuated the possibility of links between the presidential office and some foreign states. Nikoonam however expressed his hope that "this suspicion [would] be untrue". In explaining his views, he said, "Such words might be said by those who are not affiliated with the government but when they are said by those who are part of the government they causes serious concern for us". Hossein Shariatmadari, the managing editor of Kayhan daily and Mohammad Taghi Mesbah Yazdi, a member of the Assembly of Experts on Leadership, are among those make such accusations against Mashaee. A few days earlier during a meeting with the IRGC commanders, Yazdi, as a key cleric supporting Ahmadinejad, had warned: "Be aware so as not to let anyone infiltrate the government who later would turn out to be an agent of foreigners".